A square face is often identified by a strong jawline, a broad forehead, and a broad chin and cheekbones, with the width and length of the face being almost equal. Select frames that make a face look longer and to soften the square angles of the face. Choose frames that are slightly curved (like an oval shape) and that have more horizontal than the vertical real estate. A full or round face is often characterized by having the same width and length. Frames that lengthen the face often work great for round faces. Frames that extend the face are often angular, narrow and broader than they are deep. Try to avoid round style frames as these will intensify the roundness and curves of the face. Very similar to an oval shape, an oblong face is longer than it is wide. The best frames will shorten the face by creating a break in the length of the face. 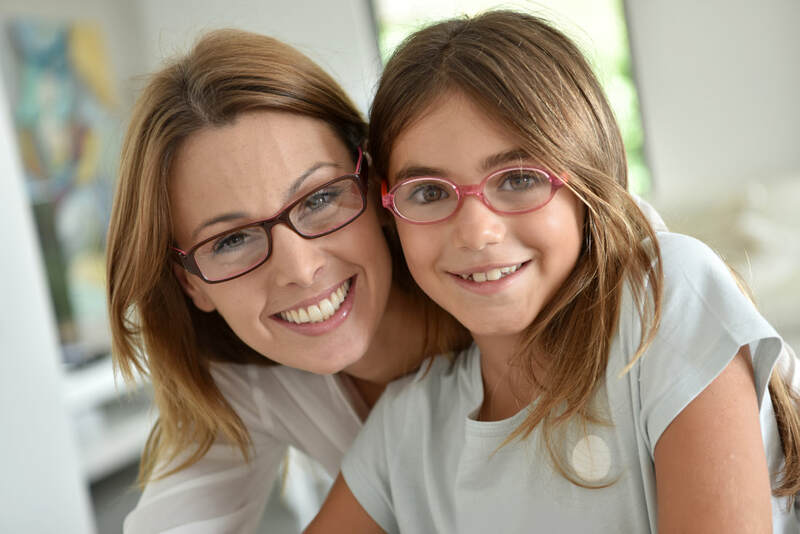 Pick frames that have depth and a low bridge to shorten the nose. Try frames that are round, deep, have low-triangle shapes, or that have strong vertical lines. A heart-shaped face resembles a heart or a triangle with the point facing down. The forehead is very broad, and cheekbones are high while the face narrows towards the chin. Counterbalance the narrow chin by picking frames with a wider bottom. Typically, light colored and rimless frames are the best choice, but aviator, butterfly and low-triangle styles work too. A base-down triangle face has a narrower forehead with full cheeks and a broad chin. To offset a broad chin, select frames that widen at the top. Ideal choices include frames with heavy color accents and detail on the top part of the frames. Cat-eye shapes are great at adding width and highlight the narrow upper part of the face. Rarest of all the shapes a diamond-shaped face is often characterized by high, dramatic cheekbones with a narrow eye line and jawline. Oval frames soft in style generally work best to showcase the eyes and cheekbones. Choose frames with detailing, distinctive brow lines, are rimless or a cat-eye shape for ideal results.